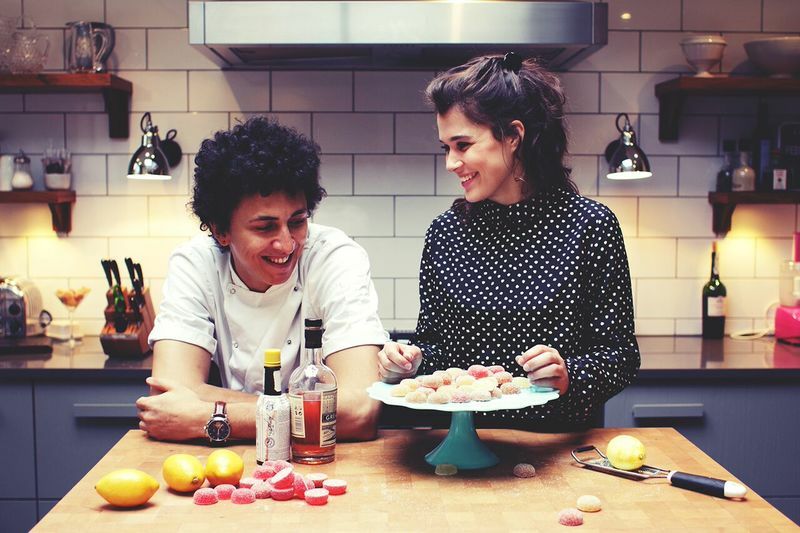 We stepped into a world of pure imagination and sat down with Willy Wonka-esque founder of Smith & Sinclair, Melanie Goldsmith, to talk all things adult confectionery (Yes, that’s booze and sweets)! We sat down with agua Spa resident and aromatherapist extraordinaire Henrietta Cassar to discover more about her therapeutic practices. Melanie Goldsmith, the founder of Smith & Sinclair, has built an empire based on edible alcohol. 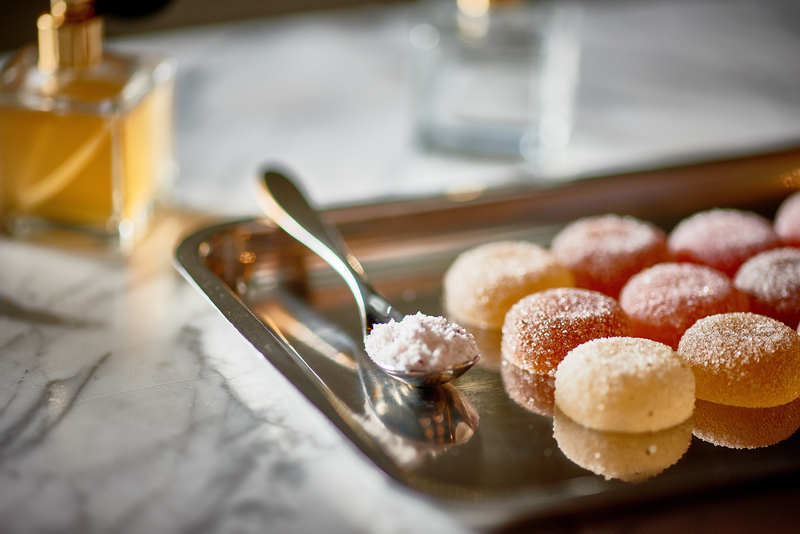 Along with her business partner, Emile Bernard, she's succeeded in delighting those fond of both a tipple and a sweet treat (so, all of us). From alcoholic pastilles to spiked sherbet, Smith & Sinclair play on the idea of 'eating your drink'. Starting on 18 November, Smith and Sinclair will fill Sanderson London's shop space with boozy sweet treats and have built a cocktail menu in Purple Bar that promises as much theatre as it does flavour. We sat down with Melanie to find out what it took to become the leader in alcoholic confectionery and listened to her theories on why "grabbing a quick drink" just isn't enough anymore. Find out more about the Smith and Sinclair Sanderson pop-up here. When did you become interested in food, drink and confectionery? I’ve pretty much been a sweet addict since I was able to chew. My whole life, I’ve always rushed right through dinner so I can get to the sweets and dessert. I’m all about quality of flavour, so I love it when I taste something that’s sensational and unexpected. 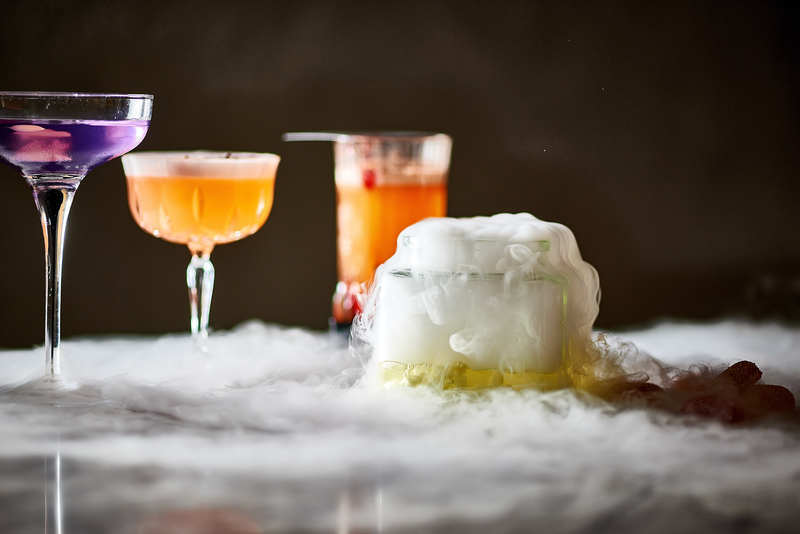 That’s what’s so great about cocktails – it’s the ultimate way to play with flavours; kind of the adult version of ‘making potions’ like you would at home as a kid. Tell us more about how Smith & Sinclair came to be – what was the defining moment for the brand? We started producing the pastilles as a by-product of a series of board game dating nights that I used to run. The purpose of those nights was to create an experience that allowed adults to behave like kids and engage with kids’ activities, without feeling immature or juvenile. Once we took away the physical bar and introduced an adult candy store, the focal point for the whole night shifted – the drinks were edible, there was alcoholic pick ‘n’ mix, and there was an option to bespoke and ‘create your own’ drink rather than ordering from a prescribed menu. The semiotics around alcohol and the way people behave when they are holding a glass is very ingrained in society, so we always want to play on that. There was so much demand for the pastilles that we thought we’d see whether there was a market to sell them; whether people would buy them as gifts and so on. We set up a market stall in December 2013 and it gave us a great opportunity to get feedback and genuine consumer research – the response was so amazing that we decided to invest our earnings into a website so we had a much longer-term presence. A couple of days after launching the website we received a huge order for 20,000 pastilles! What do you think it is that makes us want added value to everyday experiences such as going for dinner and drinks? We’ve become so connected digitally and obsessed with our phones, so this takes priority where lifestyle used to thrive. When we ask people to put their phones away, what they want in return needs to be so engaging and so purposeful that they either forget about technology and fully immerse themselves in the experience, or they pick up their phones to capture it so they can re-live the experience with others later on. We live in a time where everything is so fleeting and transient, so we want experiences that live on and last much longer. The psychology behind various experiences is also really interesting. We remember an experience much better if we’ve consumed something in the duration – if we can associate a taste or smell with it. It’s about getting people to literally digest the experience and take it away with them in their memories and subconscious. What is the one thing that you want people to take away from a Smith & Sinclair experience? I would say it’s that they should let go and connect to something fun. Nowadays there are very few moments where you can just be in the moment and have actual, genuine fun, rather than something that’s novel. We want to be something that you come back to, to re-live a moment of fun just like being a kid – no overthinking, just pure, unadulterated enjoyment. Talk us through your creative process – how do you realise your ideas from conception to creation? We’ll either start off with an idea or thought by a brand/partner, or we’ll come up with it ourselves. Then, we’ll put our heads together and come up with how it looks. Take the Flavour Room at Sanderson for example. We asked ourselves what goes into ‘flavour’, from sight, smell and taste, and then we go away and research everything. We’ll see how we can play with all of these different elements and then how they can all be brought together. We’re not big into just sitting around and thinking about things for too long; we’d much rather be out in the world seeing, touching and tasting all of the possibilities! We’re definitely our own harshest critics, too. We want every project, every sweet or drink, to be something we’re going to be proud of. We’re constantly looking to learn, to drive things forward and make it better. When working with brands or partners, some don’t know what they want until we tell them what the possibilities are; at the end of the day we’re putting our name on it, so we need to make sure it reflects the very best of our capabilities and imaginations. What is the most surprising and exciting thing you find about working in creative gastronomy? What’s surprising is probably what I now know about all of the technical elements of working with confectionery and alcohol, and about combining the two – there’s a real science behind it that you wouldn’t know about until you just do. I was also really surprised about how little other seemingly similar companies crave innovation – a ‘big brand’ ice cream brand could have invented flavour-changing sprinkles by now, for example. We thought that creating alcoholic sweets should have been done a long time ago, so people are always a bit surprised to hear that we actually own a patent on it. We thought it was such an obvious thing, yet no one had done it before us! What is your ultimate dream for Smith & Sinclair – in terms of the business as a whole as well as creatively? We want to see the pastels being distributed internationally; to forge the way for what is considered an enhanced experience. Think in First Class airport lounges and on hotel pillows, and with people dying to have them at parties to elevate their drinking experience. We want to become industry leaders in experiential food and drink, so that people take so much more away from it than everyday consumption. We’d also really love to open Smith & Sinclair bars, although something that is more like a place that you can shop, play and consume all in one place. A little bit like a posh deli where you get to choose all of our ingredients, but bringing this to nightlife and culture. We’d love to start something like this and open different interpretations across various cities; that they would be the go-to nightlife destination in each city for both tourists and locals. There’s no bar destination like this at the moment, that embraces the lifestyle of the city but combines more of an experiential element with the nightlife. We’d want it to be more than a place to just ‘grab a drink’ and leave – we would want people to stay and make a night of it. Finally… What is the next big thing for Smith & Sinclair? We have a whole rebrand launching very early next year, which is really exciting. We’ll have a new website, new packaging and even a new site complete with a kitchen to experiment in. The past two years have really been about establishing what we want to be as a brand, who our audience is and getting our products out there, so next year is about championing all of this; breaking down those doors now that we’ve found our footing, and have the time and resources to do it. Follow Smith & Sinclair on Instagram and Twitter.